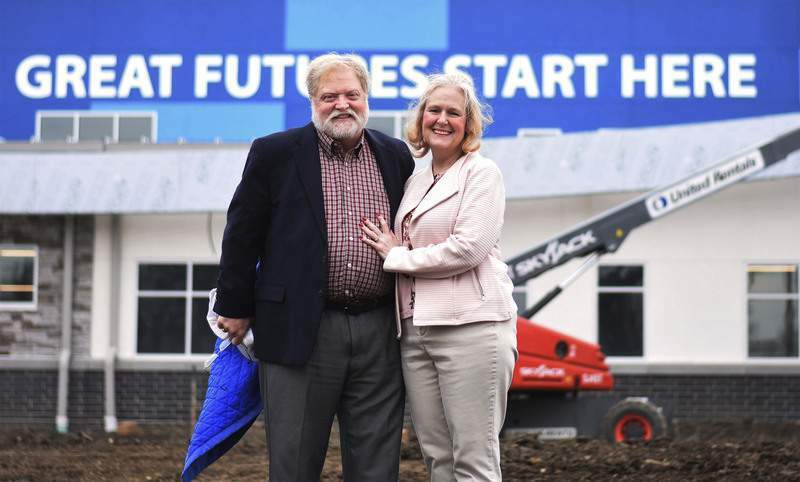 Photos by Katie Fyfe | The Journal Gazette Rudy Mahara Sr. and his wife, Sue, stand outside the new home of the Boys & Girls Clubs of Fort Wayne on Fairfield Avenue. Mahara founded the local club with Duane Hinshaw 30 years ago. 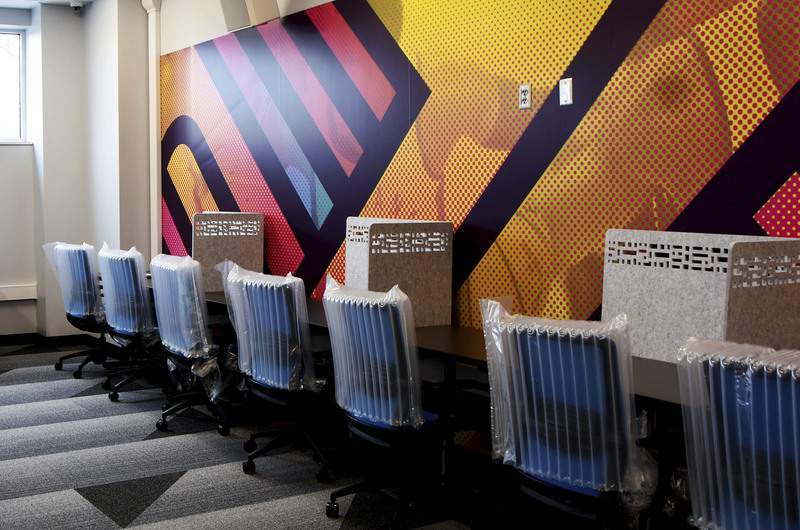 A computer and gaming room for teens is set up on the second floor of the new building, which opens Tuesday. 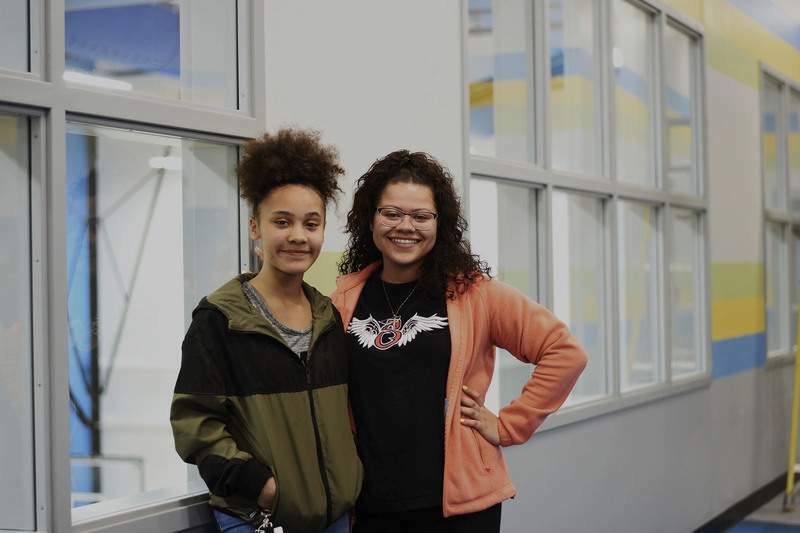 Photos by Katie Fyfe | The Journal Gazette Myalee Hudson, left, has been active in the Boys & Girls Clubs of Fort Wayne for years, and sister Lauren Hudson works there. They are among the thousands involved over the past three decades. 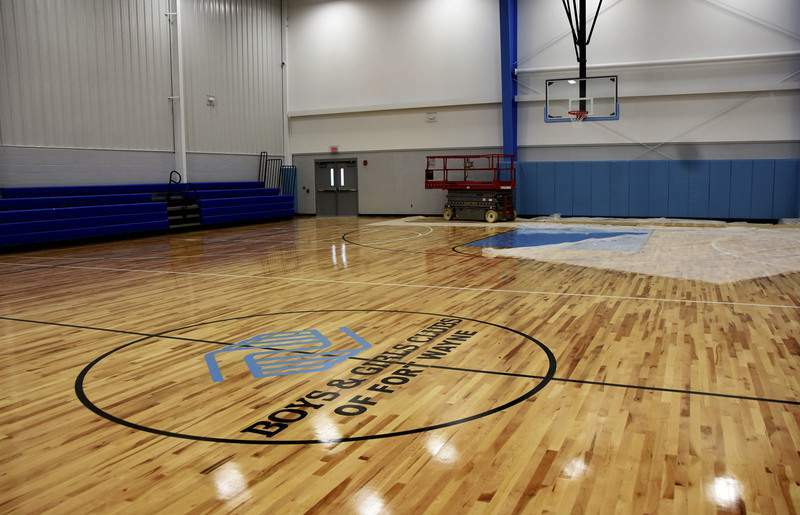 A gymnasium is among the amenities at the club’s new building, which replaced the previous one at the same Fairfield Avenue location. Hudson Katie Fyfe | The Journal Gazette Myalee Hudson at the new Boys and Girls Club of Fort Wayne off of Fairfield Avenue on Thursday, April 4th, 2019. The new club is set to open on Tuesday, April 16th, 2019. 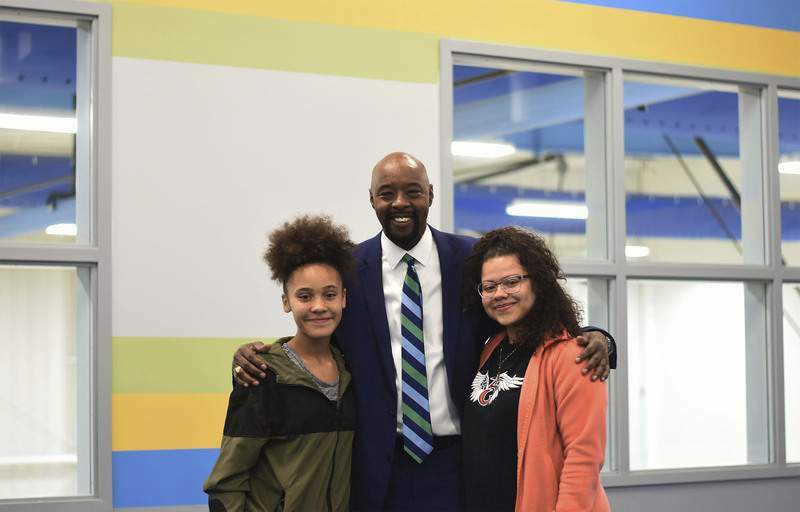 Katie Fyfe | The Journal Gazette President and CEO of Boys and Girls Club Fort Wayne Joe Jordan stands with sisters Myalee and Lauren Hudson at the new Boys and Girls Club Fort Wayne off of Fairfield Avenue in Fort Wayne on Thursday, April 4th, 2019. The new club is set to open on Tuesday, April 16th, 2019. 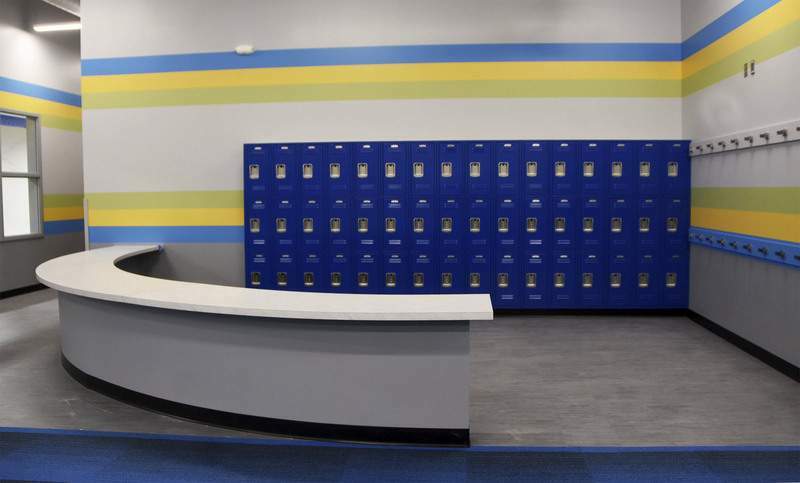 Katie Fyfe | The Journal Gazette A corner with lockers is provided in the upstairs area for teenagers at the new Boys and Girls Club off of Fairfield Avenue in Fort Wayne on Thursday, April 4th, 2019. The new club is set to open on Tuesday, April 16th, 2019. 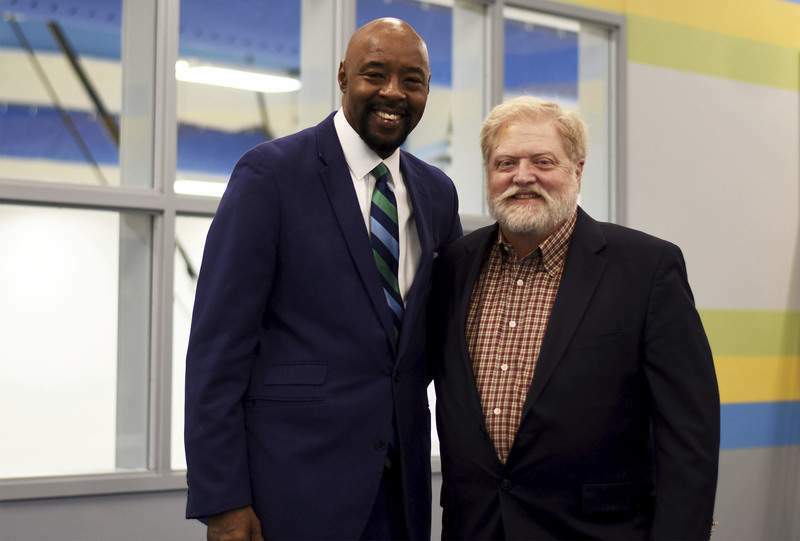 Jordan Katie Fyfe | The Journal Gazette President and CEO of the Boys and Girls Club Fort Wayne Joe Jordan in the new building off of Fairfield Avenue in Fort Wayne on Thursday April 4th, 2019. The new club is set to open on Tuesday, April 16th, 2019. Katie Fyfe | The Journal Gazette Founder of the Boys and Girls Club Fort Wayne Rudy Mahara, Sr., checks out the new building off of Fairfield Avenue in Fort Wayne on Thursday April 4th, 2019. The new club is set to open on Tuesday, April 16th, 2019. Katie Fyfe | The Journal Gazette Founder Rudy Mahara, Sr., and President and CEO Joe Jordan of Boys and Girls Club Fort Wayne stand in the new building off of Fairfield Avenue on Thursday, April 4th, 2019. The new club is set to open on Tuesday, April 16th, 2019. It’s been 30 years, but Rudy Mahara Sr. still marvels at how easily everything came together. 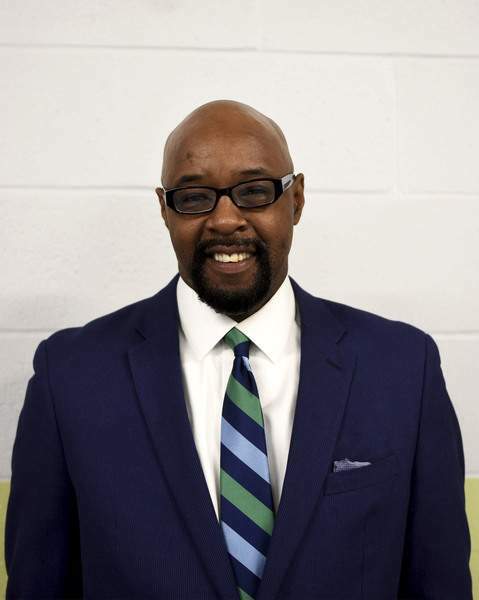 He was new to Fort Wayne, but Mahara’s connection with an old college buddy was a good start when he learned there had long been interest in establishing a local Boys & Girls Club. Mahara and Duane Hinshaw, who worked in the court system and also attended Vincennes University, met with national club representatives and received a pamphlet outlining 10 steps for starting local clubs. “Duane, being in the juvenile probation program, knew some of the pockets of need, and he knew more people than I knew,” said Mahara, president of Mahara Wealth Partners and owner of Rudy’s Cigars. He and Hinshaw made pitches to people including Tom Kelley of the local dealership chain and the late Ian Rolland, who at the time was president of Lincoln Life. 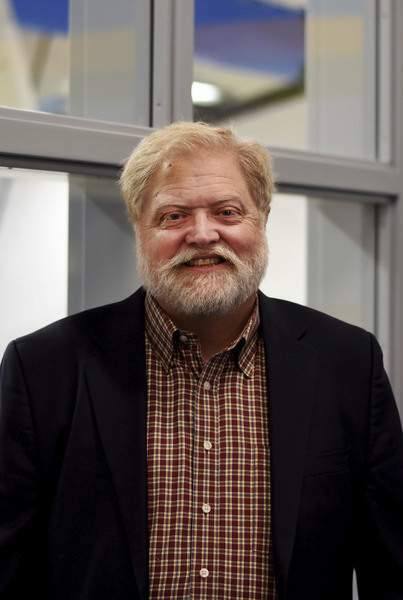 Other managers and executives with businesses in Fort Wayne, from Dana Corp. to General Electric, also became supportive – many of them Leadership Fort Wayne graduates. “It had to be a God thing that was destined – how somebody like Forrest Gump could walk into a community and then how in like a month’s time, all these people could come together and see the vision,” said Mahara, who was the first local board president and is considered the Fort Wayne club’s founder. After starting in a small, donated building on Minor Street in 1989, the Boys & Girls Clubs this week will celebrate completion of a 42,000-square-foot facility at 2609 Fairfield Ave. A capital campaign launched in February 2017 raised $9 million in less than a year. The organization served 2,700 youths last year. “It was a small thing. It was a little thing when we were doing it,” Mahara said during an interview in late March. Mahara and Hinshaw didn’t envision how much the club would grow, but they believed there was a need. Mahara had been through Leadership Lafayette and had a friend who ran the local club there. After being promoted to a district manager with an insurance company, Mahara relocated to Fort Wayne in 1988. Hinshaw was working full-time with Allen County Superior Court, overseeing probation officers in the field. He was aware of the Boys Club, as it was initially known nationally. After visiting a couple of existing clubs, Hinshaw said his excitement started to build – despite some skeptics. “Interestingly enough, a lot of people said we were crazy,” Hinshaw recalls, adding that many nonprofits were struggling. But Hinshaw said about 3,000 youths were going through juvenile court every year, most of them not involved in any activities. “It was pretty clear there a lot of kids who were falling through the cracks,” said Hinshaw, who was also on the IPFW faculty. He said some research by students found that youths who feel connected to three primary institutions – family, school and faith – tend to do better and avoid potential pitfalls. “When kids don’t feel connected, or even adults don’t feel connected, there’s going to be some issues,” Hinshaw said during a telephone interview from the Marshall-Longview area of Texas, where he is doing consulting work for the Boys & Girls Clubs. Mahara said as he talked to people about starting a local club, he was told several times he should talk to Tom Kelley. He happened to drive by a Kelley dealership one day, recognized the name, and went in asking to speak with him. Kelley was there, willing to meet and interested in the idea. “He was ready to get out a checkbook,” Mahara recalled. Kelley was probably the first board member recruited and remained active, Mahara said. He helped the local club organize its first fundraiser with then-IU basketball coach Bobby Knight. When Hinshaw decided he wanted to be the director of the club, Mahara was surprised. Bob Arnold, who was the Fort Wayne Parks and Recreation director at the time, helped the club find its first space, a building in the 1300 block of Minor Street. Neighbors were concerned about additional youths congregating in the area, possibly increasing vandalism, Mahara said. But one of the club’s first projects was We Care Week, which included cleaning up a park on Minor Street and helping with other improvements, including putting in some plants. Suddenly, youths who may have been contributing to a graffiti problem took ownership and pride, he said. For another project, youths in the club took art and craft items they made to children in a hospital pediatric ward. While the club seemed to have a positive impact on youths, particularly ages 6 to 11, keeping the older ones engaged was challenging. “As soon as the hormones kicked in, we lost them,” Mahara said. But over the years, the club continued to grow, reaching thousands of youths with various programs that include building character and confidence, along with providing homework assistance. Club President and CEO “Joe Jordan is a phenomenal talent with the programming and things we’re doing,” Mahara said. 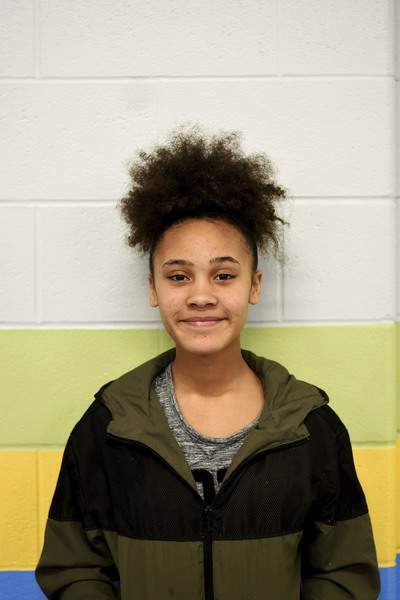 Lakeside Middle School sixth grader Myalee Hudson has been attending the club about seven years. She is the youngest of three children, and her older siblings have also been in the club. Hudson, 12, said she particularly likes the Smart Girls program the club offers. Girls talk about various situations – “hygiene and drama, and different things that go on in our lives,” she said. Hudson said she mostly gets B’s in school and thinks the club gets at least partial credit. Her mom, Misty Stephens, said the club helps in other ways, such as building her confidence. “They’re just really there for whatever you need,” Stephens said. Hinshaw, now retired and living north of Atlanta, said he had been working with the court probation system about 14 years when he moved to the nonprofit Boys & Girls Club. He recalls “fun days, very long days,” often six to seven days a week. “It makes me feel good to see that it’s not only continued, but it’s taking a big step forward with what’s going on right now,” said Hinshaw, who said he hopes to attend the ribbon-cutting for the new building.